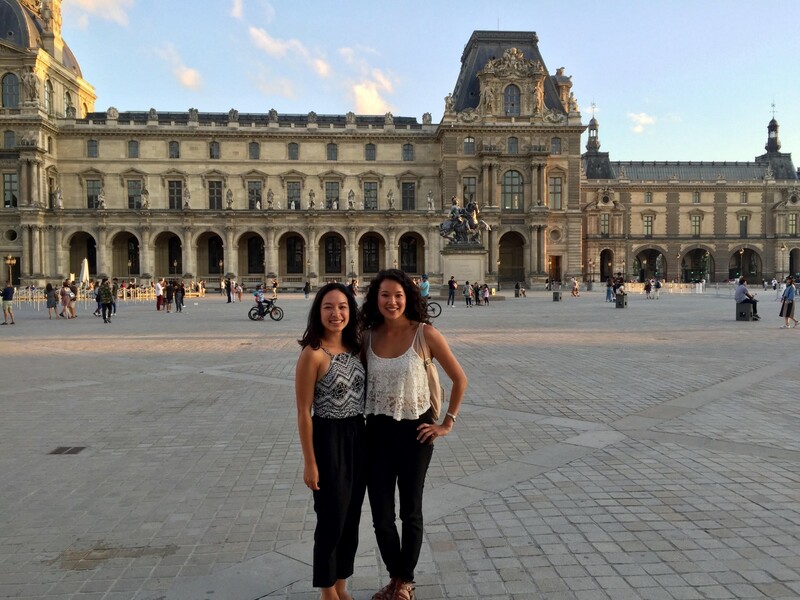 About the author: Madeleine (Elle) Ota ’18 is an FSI Global Policy intern at UNESCO in Paris, France. She graduated from Stanford with a B.A. in archaeology and classics and is a Stanford M.A. candidate in anthropology. 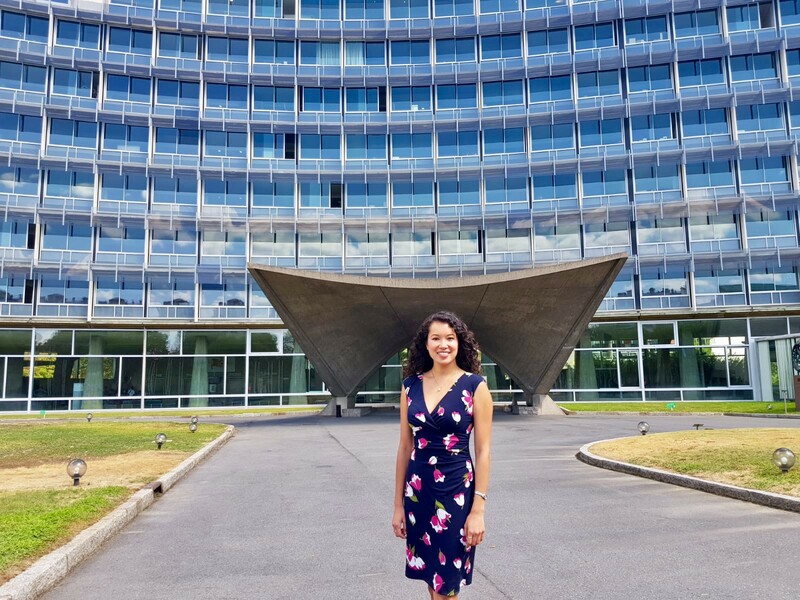 As my FSI internship at UNESCO draws to a close, I have been reflecting on the experiences I have had while working at the World Heritage Centre (WHC) over the past nine weeks. Archaeology is usually associated with the past. When I tell people that I am an archaeologist, I am often asked, “But hasn’t all that stuff already been discovered? Are there really more old things to dig up?” The prevailing assumption is that archaeology is a discipline of the past, its reach extending only as far as leather-bound university textbooks and dusty exhibits in local museums. At Stanford, I have studied how archaeology influences modern society through politics and cultural beliefs. For centuries, individuals, groups, and nations have used archaeology (by which I mean cultural and historical objects) to define themselves. In more recent eras, archaeology has also functioned as a political tool to bolster nationalism, protect sovereign interests, and send symbolic messages between political entities. This is certainly true when it comes to World Heritage. UNESCO acts as the global custodian for the 1,092 current World Heritage Sites — all branded as unique examples of humankind’s universal cultural and natural heritage. Every year, at the World Heritage Committee meeting (which I attended last month), the Committee — composed of 21 member states — selects a number of nominated sites from around the world to be inscribed on the World Heritage List. Standing outside the entrance to UNESCO’s headquarters in Paris, France. Although cultural heritage may seem like an apolitical subject, those who work at the WHC know that this is unfortunately untrue. When it comes to selecting new World Heritage properties, heritage often gets treated not as a valuable cultural entity, but rather as a bargaining chip between countries. Because the World Heritage Committee consists primarily of politicians, decisions regarding archaeology are made on the basis of national interests. Countries support World Heritage Sites that will function as symbols of their national identity or improve their economies through increased tourism. As an intern for the Nominations Team at the WHC, I have focused on the nomination and inscription of new sites on the World Heritage List. Back at UNESCO’s headquarters in Paris, I completed an independent research project for the WHC on the process of evaluating sites. My research found that over this past decade, the decisions of the World Heritage Committee have become increasingly politicized. So what does this say about the value of World Heritage? 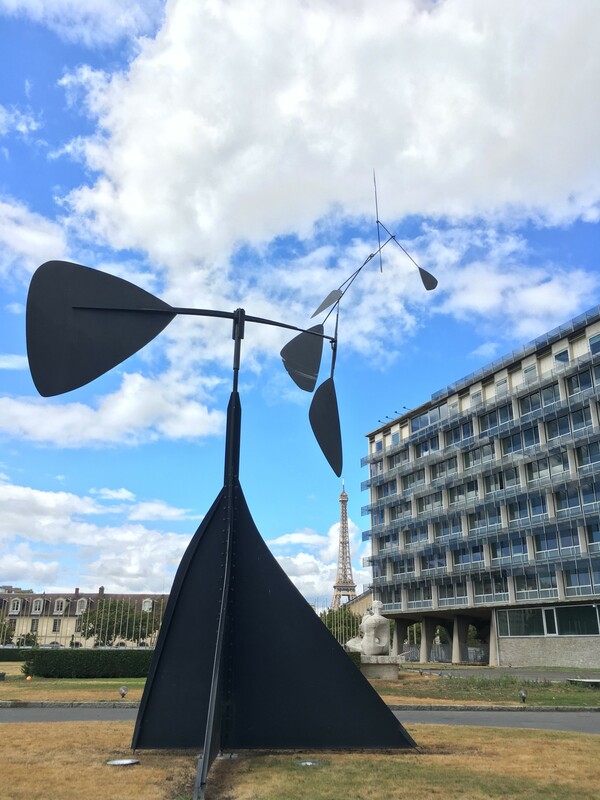 A view of the sculpture garden at UNESCO, situated just a few blocks away from the Eiffel Tower. The World Heritage Committee decisions influence how the rest of the world perceives the value of archaeology. UNESCO was founded to foster understanding and respect between people of different cultures… but when World Heritage becomes more about politics and less about sharing culture, it is difficult to fulfill this mission. While working with the newly inscribed sites, I am confronted with ethical questions, as an archaeologist and anthropologist: Who does this new site benefit? What message does it transmit to the rest of the world? Whose stories are we choosing to share with the international community? Where better to explore some of France’s cultural heritage than a trip to le Louvre (the largest museum in the world)? (Featured here with fellow Stanford grad, Audy Mulia). Working with the WHC has been a fascinating and humbling experience. Despite the politics that surround heritage, the WHC community works tirelessly to ensure that UNESCO’s principles still govern the World Heritage List. I am grateful for the lessons I have learned about heritage and the inspiration to continue studying and safeguarding cultural heritage for communities around the world. A huge thanks to the FSI Global Policy Internships Program and to my faculty advisor, Professor Lynn Meskell! This would have never been possible without your support! The Freeman Spogli Institute for International Studies at Stanford offers engaging, policy-focused Stanford student opportunities. The Freeman Spogli Institute for International Studies is Stanford’s premier research institute for global affairs.